Health World « Jeff Kennedy Associates, Inc.
Health World, a hands-on museum and health education center, served Chicago area children grades K-6 for more than a decade, making the transition to an outreach-only organization in 2009. Health World was designed to provide for multiple modes of learning by combining structured classrooms with full-body activity areas, theaters and other thematically linked discovery spaces. 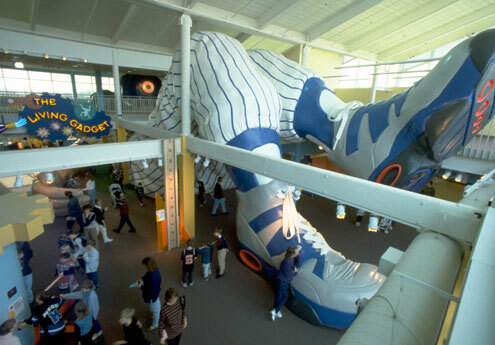 When children entered the doors of Health World, they came face-to-face with a giant-sized cutaway sneaker filled by a skeletal foot belonging to a 2-story tall, 85-foot long, 10-year-old Little Leaguer, stretched out on the floor for a nap with her head propped up on her backpack. 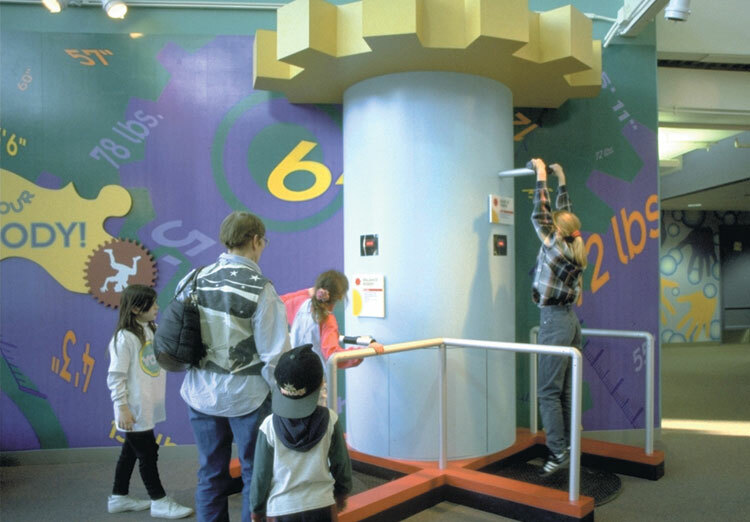 Children tested their strength and balance at one of many interactive stations surrounding the Big Kid. Weighing, measuring and testing themselves personalized each child’s visit. Children played the role of a surgical team with the help of Health World staff who facilitated a simulated arthroscopic knee surgery, including administration of anesthesia. A healthy environment was part of the big picture at Health World. 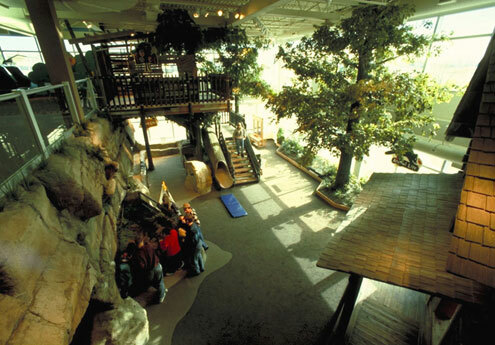 This highly detailed, naturalistically themed area comprised of a native oak forest, a pond filled with native species fish, a bat cave and a log cabin demonstration space provided a memorable, immersive setting for environmental health experiences.